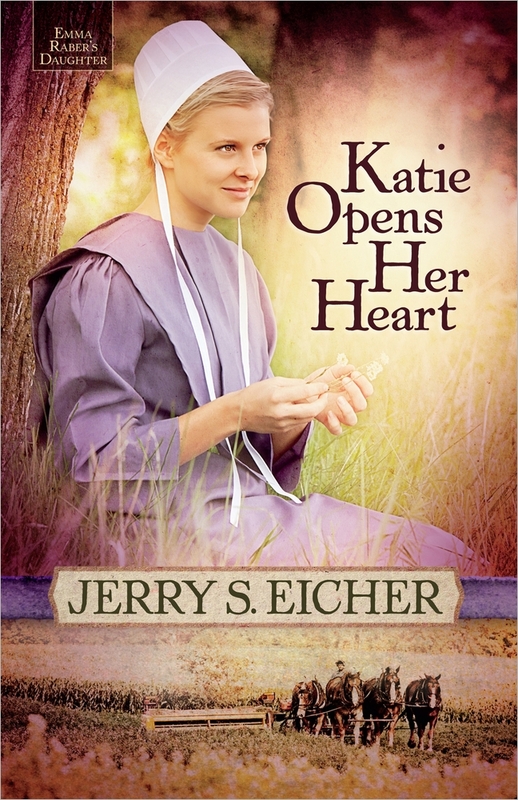 ‘Katie Opens Her Heart’ opens another compelling Amish romance series from bestselling fiction author, Jerry S. Eicher, as he begins the saga of that will become “Emma Raber’s Daughter.” Based in the writers own authentic Amish heritage, Jerry writes with empathy and understanding in this touching story of the awakening of young Amish girl, Katie Raber, who finds she wants to be known for something more being Emma Raber’s daughter. In this opening story, Emma who refused to remarry after the death of Katie’s father, is determined to keep her daughter tied to the home, forbidding her forbidden her from participating in the rumspringa – the running wild tradition of Amish adolescent youths. When widower, Jesse Mast, asks to marry the widow Raber, Katie hopes for a new beginning, but her mother will have none of it. Katie faces abandoning all hope until, out of sheer frustration, she begins attending nearby Mennonite community youth gatherings and then the real sparks begin to fly! 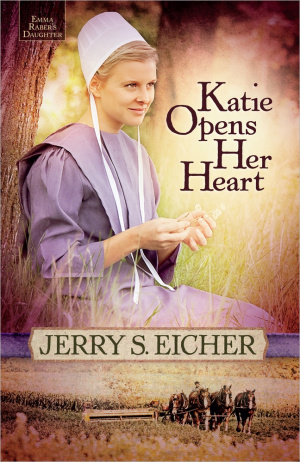 Katie Opens Her Heart by Jerry S. Eicher was published by Harvest House in February 2013 and is our 35403rd best seller. The ISBN for Katie Opens Her Heart is 9780736952514. Be the first to review Katie Opens Her Heart! Got a question? No problem! Just click here to ask us about Katie Opens Her Heart. Bestselling Amish fiction author Jerry S. Eicher returns with the first book in another of his delightful and compelling series. 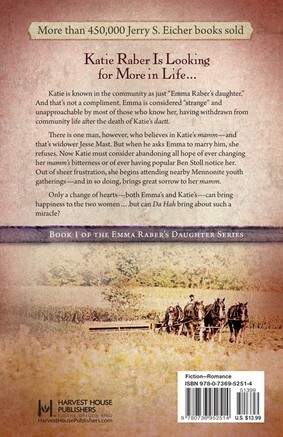 Here is the touching story of an awakening young Amish girl, Katie Raber, who finds she wants more from life than to be known as simply "Emma Raber's daughter". Emma has refused to remarry since Katie's daett died soon after she was born. And in an effort to keep Katie home, Emma has forbidden her from participating in the rumspringa tradition. When widower Jesse Mast calls for Mamm's hand in marriage, Katie hopes to move into a new phase of life and leave the old "Emma Raber's daughter" behind. But Emma is having none of it, and Katie must consider abandoning all hope of ever changing her mamm's bitterness or of ever having popular Ben Yoder notice her. Out of sheer frustration, she begins attending nearby Mennonite youth gatherings. Sparks fly when Jesse's children object fiercely to the attentions their daett is paying to Emma Raber. And widowed Ruth Hochstetler makes her own move for Jesse Mast's hand. Book one in "The Emma Raber's Daughter" series.